Finding the best toys for English Bulldogs often requires a process of trial and error. Part of this process is finding toys your English Bulldog really likes! Your dog is unique and her toy preferences are likely to be just as unique as she is! But not to worry – if you are searching for the best toys for English Bulldogs, you have come to the right place! This handy guide will give you plenty of toy choices to keep your precious pooch entertained for hours. What are the best toys for English Bulldogs? The best toys for English Bulldogs are chew toys that are easy for them to pick up, but are also easy for you to clean and preferably work as a toy for playing fetch, too. Durable options are also always preferable. English Bulldogs fall into a category of dog breeds known as “brachycephalic” or “flat-faced” dog breeds. Of course, the English Bulldog’s flat face is adorable – after all, these are the sixth most popular dogs in the United States! But unless you have a veterinary medicine background, you may not know precisely how this cute flat face can affect your pup’s experiences of daily life. First is the simple visual difference – for comparison, think about a German Shepherd’s long muzzle and then look at your English Bulldog’s short muzzle. The difference in muzzle size, length, and shape is immediately apparent. Peer inside your English Bulldog’s mouth, and more differences become clear. Because there is less overall jaw space, the English Bulldog’s teeth tend to grow in and crowd together, which can make grasping toys and treats and chewing a challenge. Perhaps the most concerning health issue arising from having a flat face is problems with breathing. Your English Bulldog’s compressed facial anatomy makes it harder for air to flow freely as she breathes. This makes water play impossible and vigorous exercise unwise. So now, with our newfound knowledge, let’s get up close and personal with some of the best toys for English Bulldogs! Ask any longtime English Bulldog owner about their pup’s favorite hobby, and you are likely to hear “chewing.” English Bulldogs love to chew. They also love to eat. For this reason, flavorful chew toys are sure to be a hit, as are toys with an excellent “mouth feel” suitable for the bulldog’s larger, powerful jaw. Mammoth Flossy Chews Cottonblend Color 5-Knot Rope Tug. Recommended by English Bulldog breeders for its thickness and durability, this toy will satisfy your pup’s need to chew in puppyhood and adulthood. Choose from 5 sizes as your puppy grows! Nylabone Dura Chew Action Ridges, Bacon Flavor. Breeders say Nylabone is always a good choice for English Bulldogs, since these durable toys are both great tasting and long-lasting. 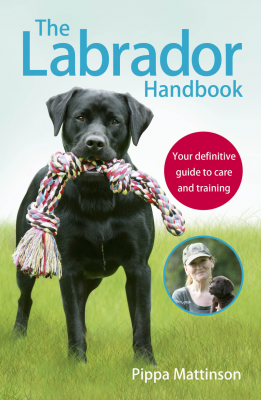 Be sure to choose a size that your dog has no chance of swallowing accidentally! This toy comes in three sizes and has raised bristles to help clean teeth and gums while your dog chews. Benebone Real Flavor Dental Dog Chew Toy. This durable chew toy is made with aggressive chewers in mind. It comes in three sizes and four flavors to keep your English Bulldog engaged and interested in new tastes. The toy itself has ridges to massage and clean your dog’s teeth and gums as he chews. English Bulldog puppies can have some special dental issues as their adult teeth begin to grow in. Underbite (where the lower teeth overlap the upper teeth) and too-crowded teeth can lead to chewing difficulties, infection and, in time, periodontal disease. It goes without saying here that the best toys for English Bulldog puppies should include toys that help clean the teeth as well as toys to ease teething pains! Nylabone Puppy Starter Packs Puppy Chew Toys. Breeders say Nylabone’s dinosaur chew toy is a particularly good shape for teething puppies – it is too large and awkward to swallow and too durable to break apart. You can also freeze it for extra teething relief. PetSafe Busy Buddy Bristle Bone Dog Toy. This durable nylon chew toy features bristles to help naturally clean your puppy’s teeth and gums. You can also insert treat rings to help encourage chewing behavior. Choose from four sizes as your English Bulldog puppy grows up. Petmate JW Pet Company Chompion Dog Toy. This specially designed chew toy is infused with vanilla to help encourage chewing. It is made of hard non-toxic rubber with ridges and grooves to help keep teeth and gums clean and healthy. 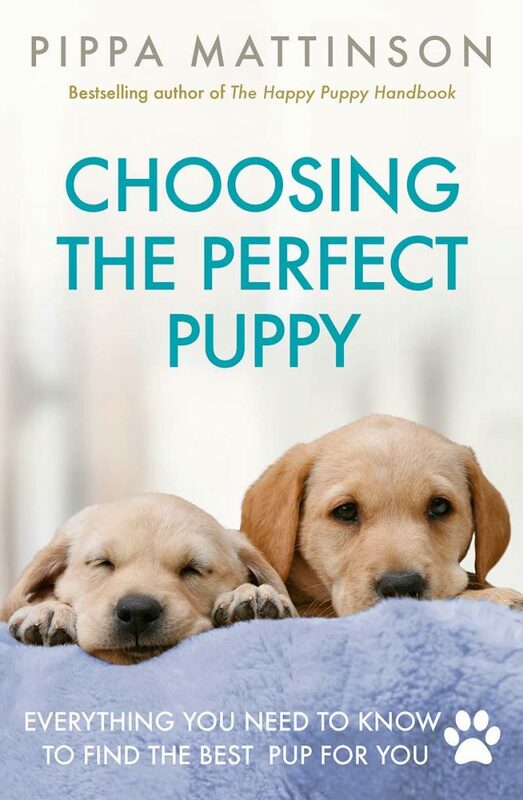 There are three sizes to choose from as your puppy grows. English Bulldogs are really smart! Since their breathing issues often prevent vigorous physical exercise and play, they need even more mental enrichment to stay happy and healthy. Happily, puzzle toys can fill this need perfectly. 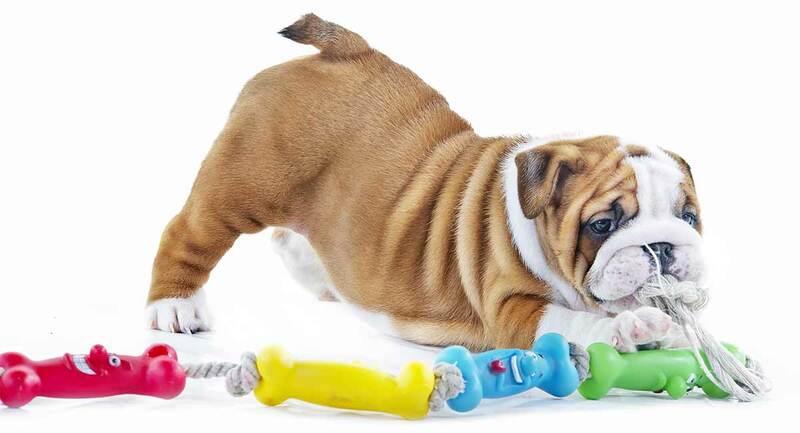 Here is a selection of some of the best toys for English Bulldogs to exercise their brains! OurPets IQ Treat Ball Interactive Food Dispensing Dog Toy. This treat ball toy is very popular with dog owners and pups alike. It harnesses your English Bulldog’s love of food along with her innate smarts – to get the treats, she has to figure out how to roll the ball just-so! 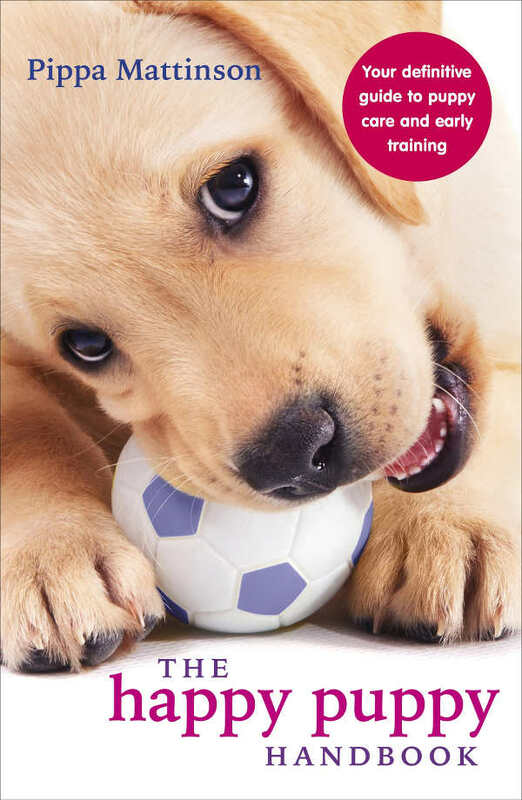 The ball comes in two sizes and can be adjusted for a greater level of difficulty as your pup masters the basic levels. West Paw Zogoflex Qwizl Interactive Treat Dispensing Dog Puzzle Toy. This is another popular and highly rated puzzle toy for dogs that is as durable as they come. In fact, the manufacturer offers a 100 percent guarantee of durability! 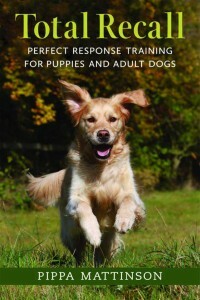 You can choose from three sizes for puppies and adult dogs. Jolly Pet Teaser Ball. 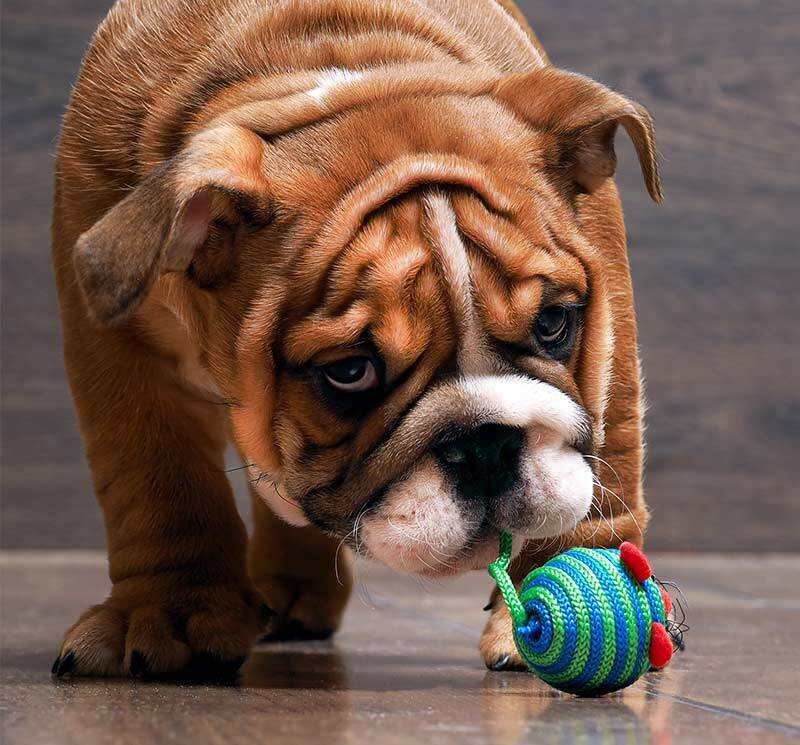 Recommended by English Bulldog owners to keep your bulldog entertained, this ball-within-a-ball toy wobbles and bobbles and rolls around in ever-changing patterns to keep your dog’s attention. You can choose from three colors and four different sizes for puppies and adult English Bulldogs. Both English Bulldog puppies and adult dogs can benefit from having plush toys to snuggle with for comfort. Because your English Bulldog does have a strong jaw, you want to look for plush toys that are “strong yet soft” like these plush toys! KONG Cozies Dog Squeaky Toy. KONG toys are reliably strong and safe. This plush toy comes in 10 colorful characters and features an extra layer of reinforced material for strength, and has a fun squeaker hidden deep inside to encourage your nap-loving bulldog to play with it. Owners rave about this toy and say their dogs love it. Outward Hound Hide-A-Squirrel and Puzzle Plush Squeaking Toys for Dogs. With this amazingly popular hide-a-squirrel toy, you can give your pup a sense of the thrill of the chase without having to entice him to go outdoors. This toy comes in four sizes and four characters, and replacement characters are available for purchase (sold separately). Fluff & Tuff Beach Ball. This amazingly strong beach ball plush toy gets rave reviews from dog owners of aggressive chewers, including owners of flat-faced dog breeds. The filler is non-toxic poly and the seams are double-stitched for safety. The outermost material is soft yet durable and the inner liner is a patented strong mesh. We hope this article has helped you to find some wonderful new toys for your precious English Bulldog! Packer, R., DVM, “Brachycephalic Health,” The Kennel Club UK/the Royal Veterinary College, 2018. Pederson, N.C., et al, “A genetic assessment of the English Bulldog,” Canine Genetics and Epidemiology, 2016. Castillo, M., “Why dogs and cats need dental care, sometimes even braces,” CBS News, 2015. Esposito, L.A., DVM, et al, “Guide to training your English bulldog,” Richmond Valley Veterinary Practice, 2017. MacNaughty, T., et al, “Caring for Your English Bulldog Basics,” MacNaughty Bulldogs Kennel, 2018.